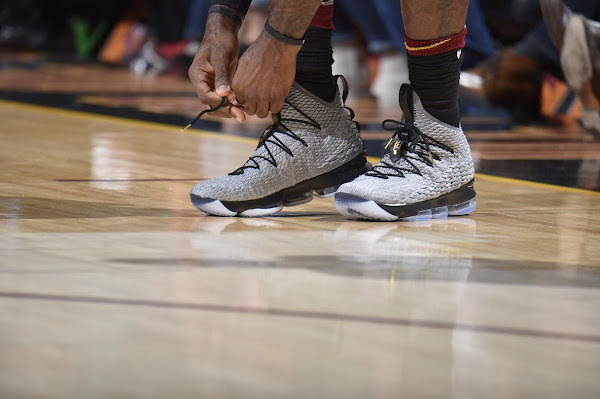 It took three pairs of shoes to get things done for The King. 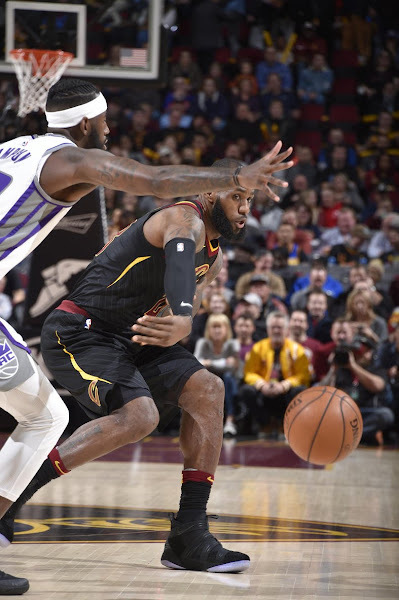 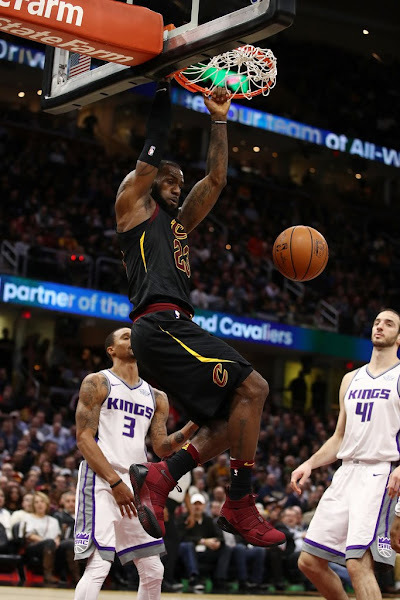 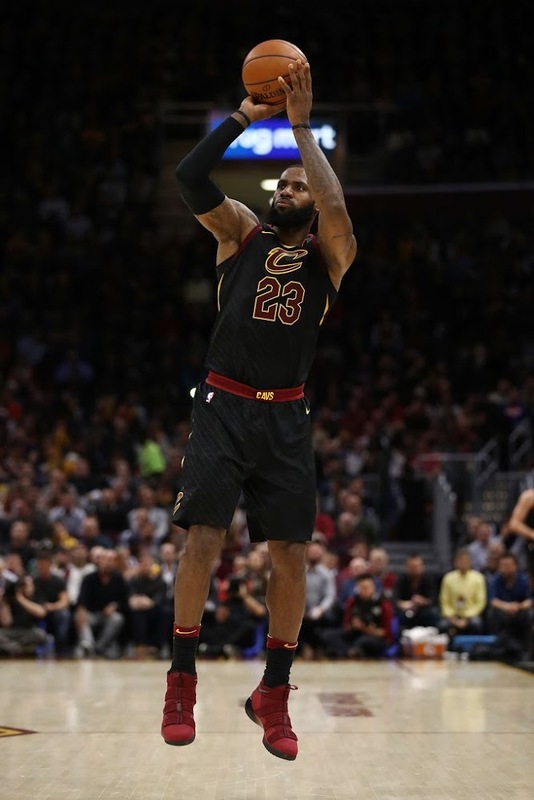 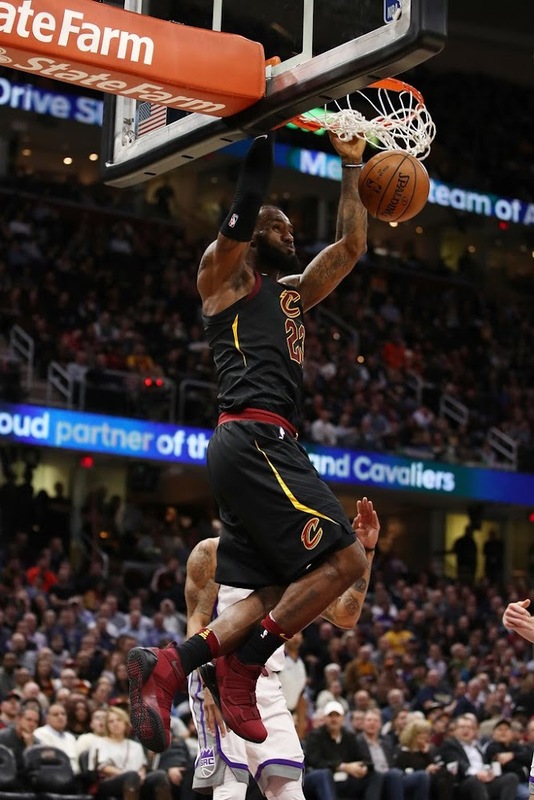 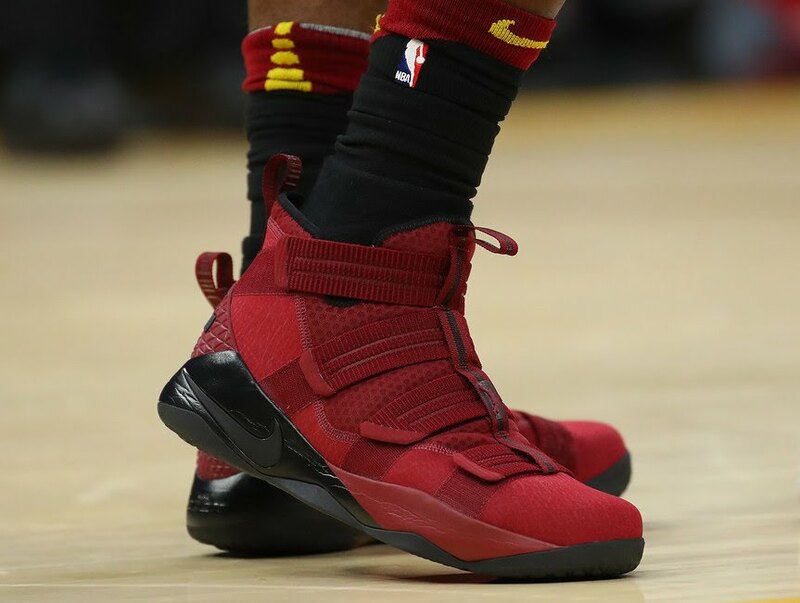 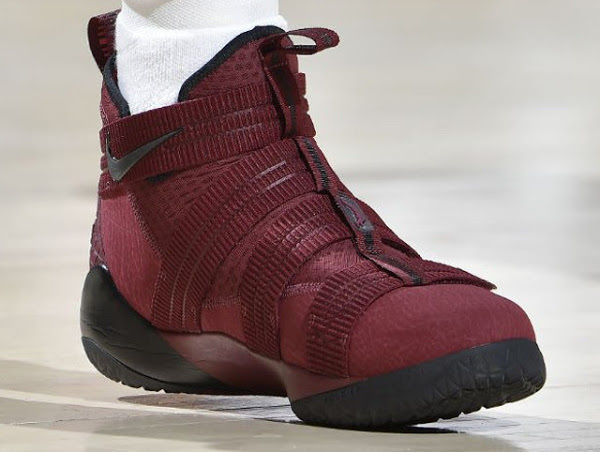 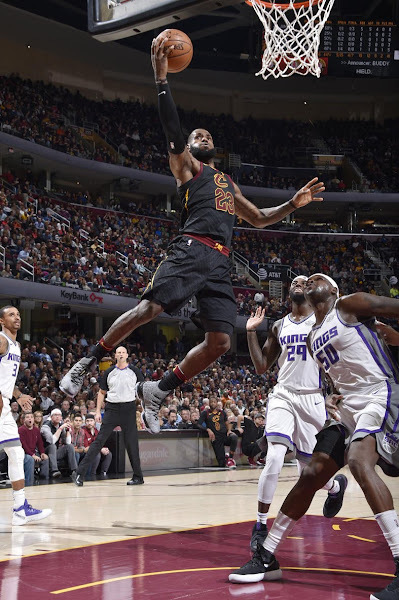 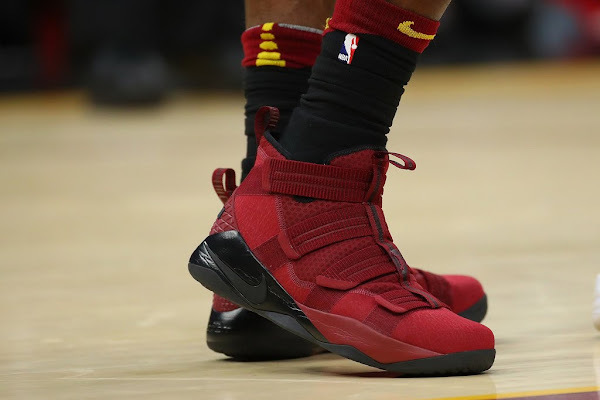 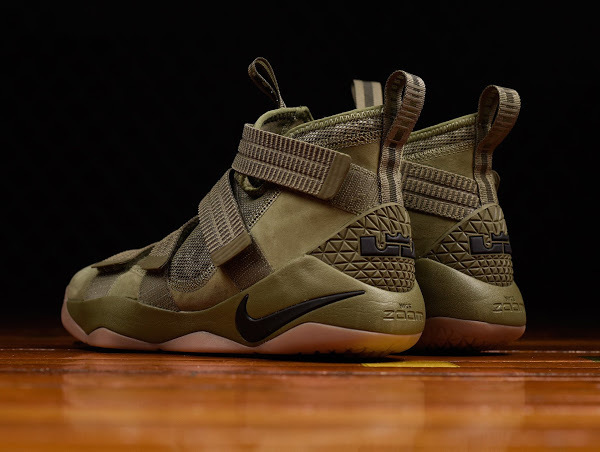 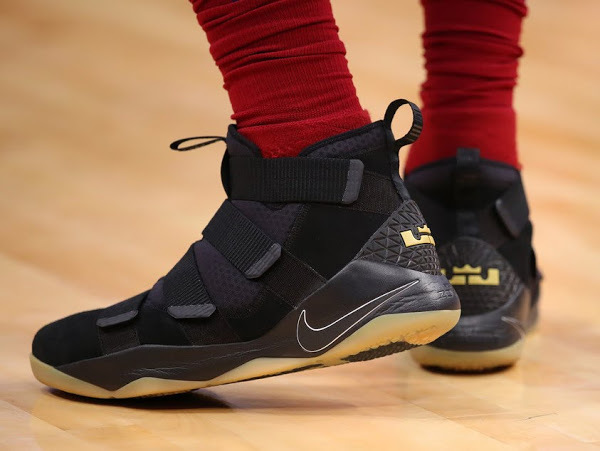 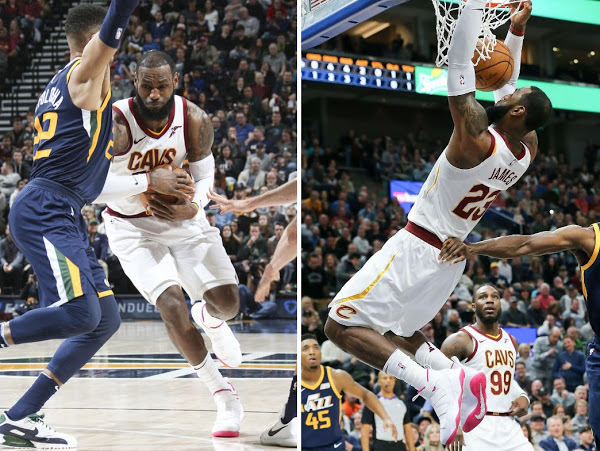 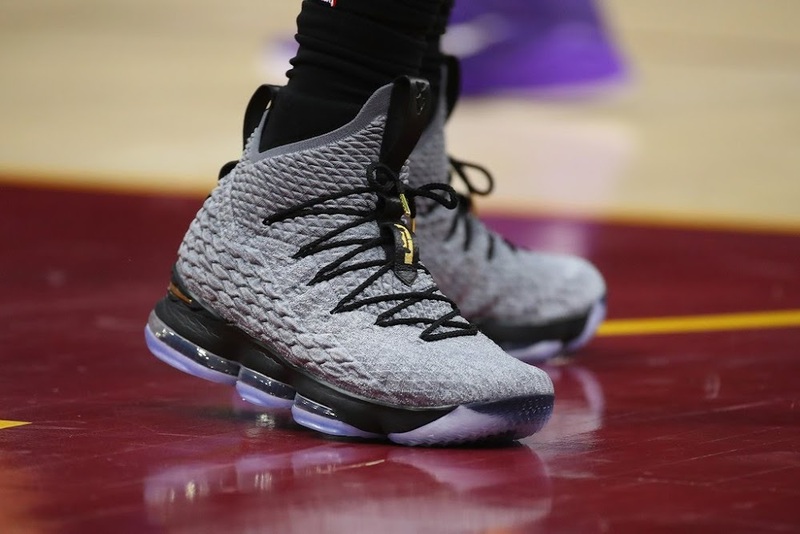 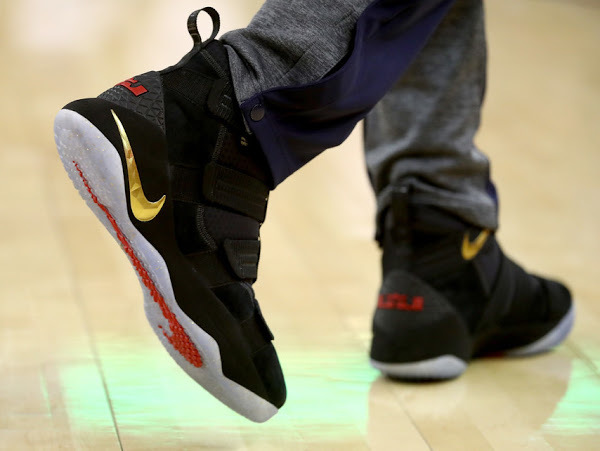 He started in the “Prototype” Soldier 11’s, then he switched into the “Cool Grey” LeBron 15’s only to finish things off in the “Wine” Soldier 11’s. That’s definitely some kind of a record. 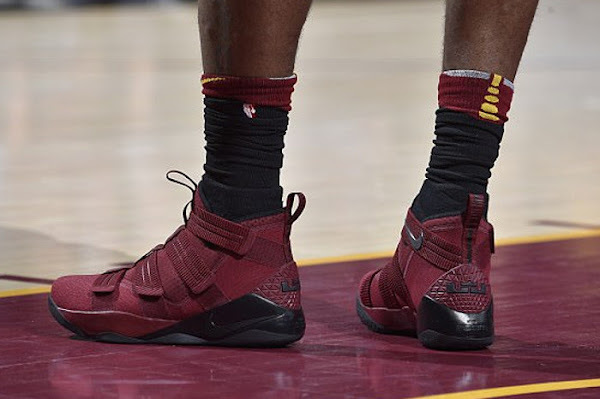 He’s done two pairs multiple times, but I don’t recall 3 shoes in 1 games… ever.